Chiarillo's is a full-service plumbing company servicing all of New Britain. 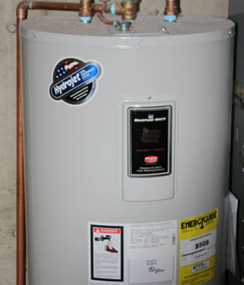 We have experience in installing and repairing pipes, toilets, sinks, drains, hot water heaters and more. We want your home or office to be sanitary and safe, so call us when you can't flush toilets or get water down the drain. If you have an older building in which upgrades are required by a building inspector, we can have everything repiped. If you have leaking pipes, your floors will eventually suffer extensive damage if the problems are not addressed. We've completed a lot of plumbing jobs in bathrooms, kitchens, laundry rooms and work areas. We're even the company to call if you need a hookup for your washing machine and hot tub. Our mission is to provide quality products and great customer service whenever you need a plumber.